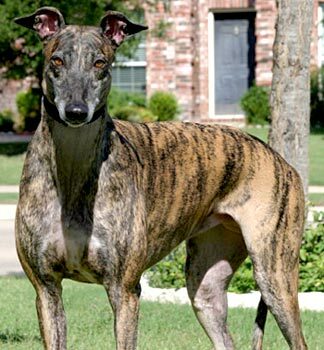 Damsel, aka GLB's Damsel, is a 4-year-old brindle female born March 12, 2004. 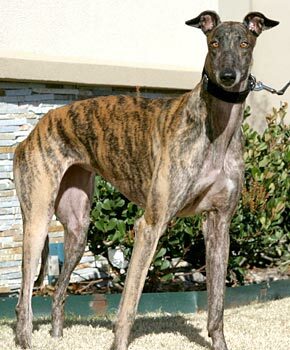 Her sire is GLB's Helper and her dam is Bobbye's Fancy, making her grand sire Wigwam Wag. Damsel has 73 races to her credit, starting July 13, 2006, at Corpus Christi. 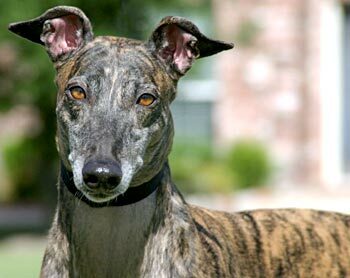 She suffered a broken right hock during her last race on October 18, 2007. GALT received Damsel on November 23, after her leg had been in a cast for almost 5 weeks. Damsel was evaluated by Dr. Stephanie Beardsley of Central Texas Veterinary Specialty Hospital in Austin. Dr. Beardsley determined that Damsel's injury had healed well without further surgery. 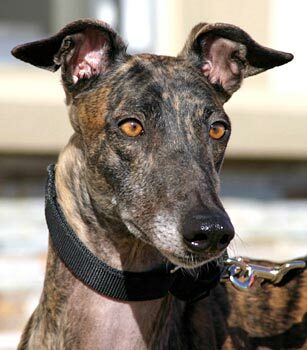 Damsel was adopted, but it was not to be her forever home, and she was returned through no fault of her own. Damsel is not cat tolerant but will need to be tested with little dogs later.